The post Planning a wedding? 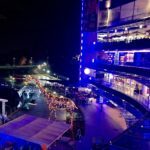 Two Rivers Mall will provide you with an exquisite venue for free, here’s how (Video) appeared first on Ghafla! Kenya. Next Post: Hot from the kitchen! Here’s Dj Joe Mfalme’s new gift to Reggae lovers. Download for free.